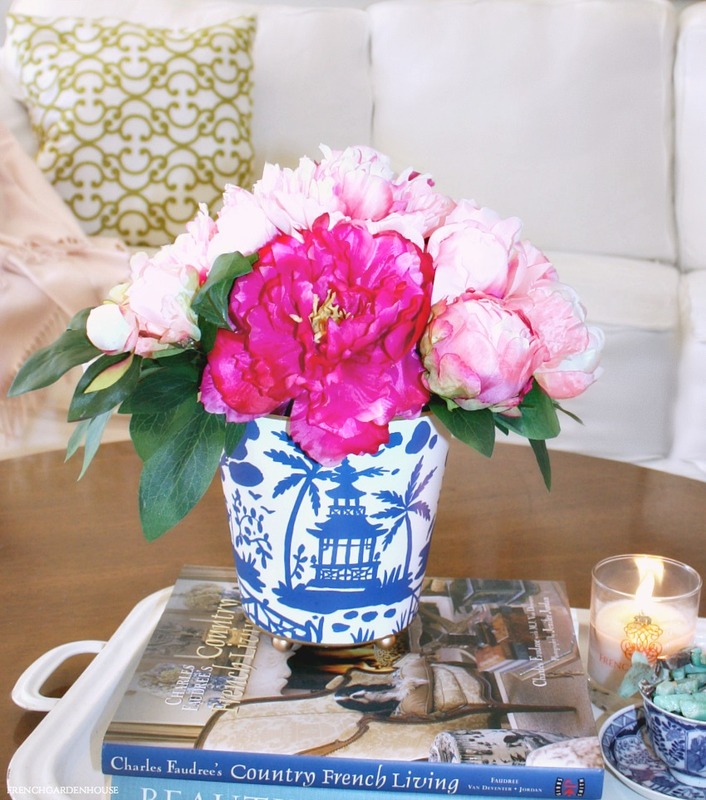 Like a breath of fresh air, this Peony Arrangement is a new way to look at traditional blue and white. 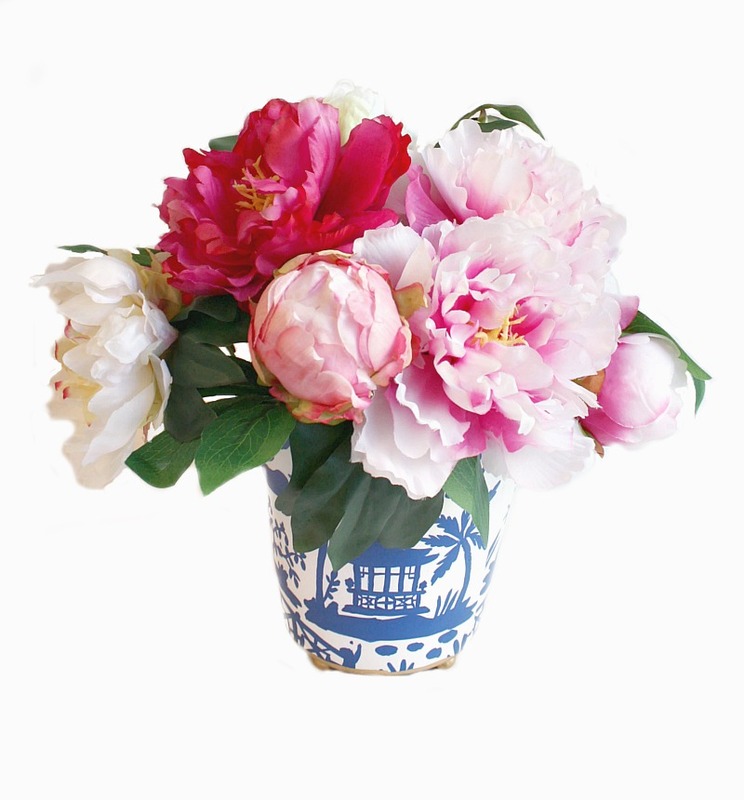 Planted in our hand painted chinoiserie metal tole jardiniere, these pink peonies are unforgettable. 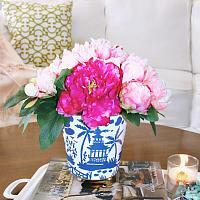 Capture the allure of peonies all year long with this luxury floral design. The fresh and feminine style of this bouquet in pinks will add style and romance anywhere you place it. Hand made in our floral studio, each is a one of a kind. Very limited quantities. Measures 14" x 13-3/4" x 12-1/2"h.